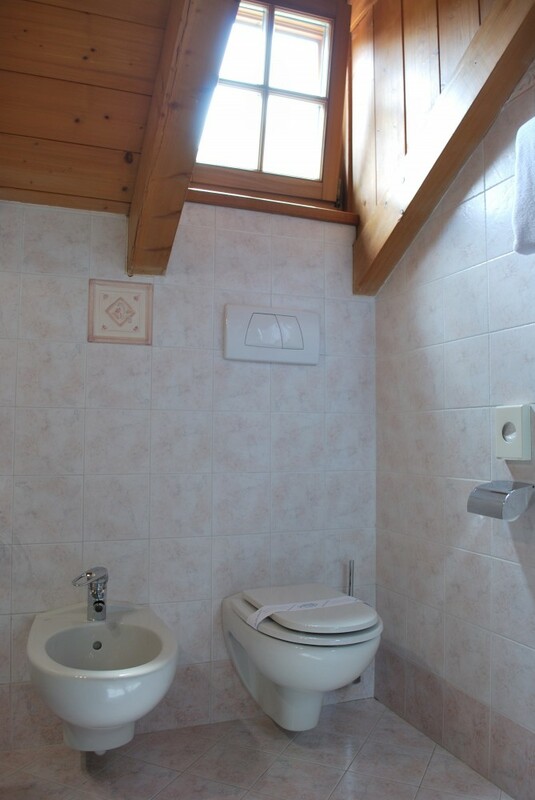 Welcome to Alba di Canazei! 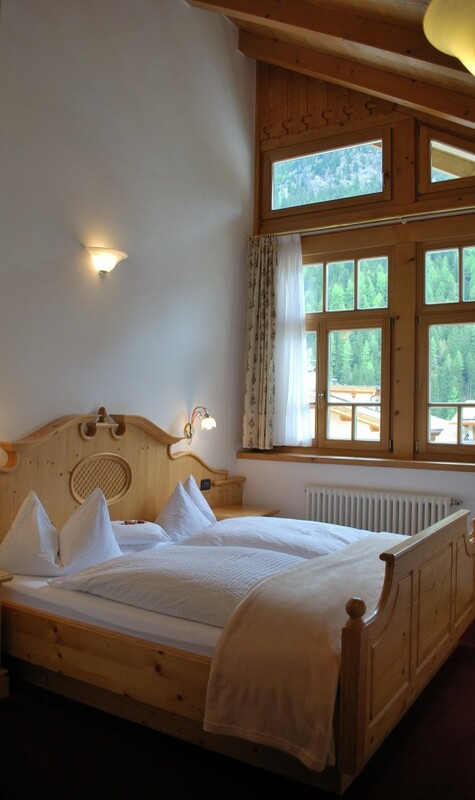 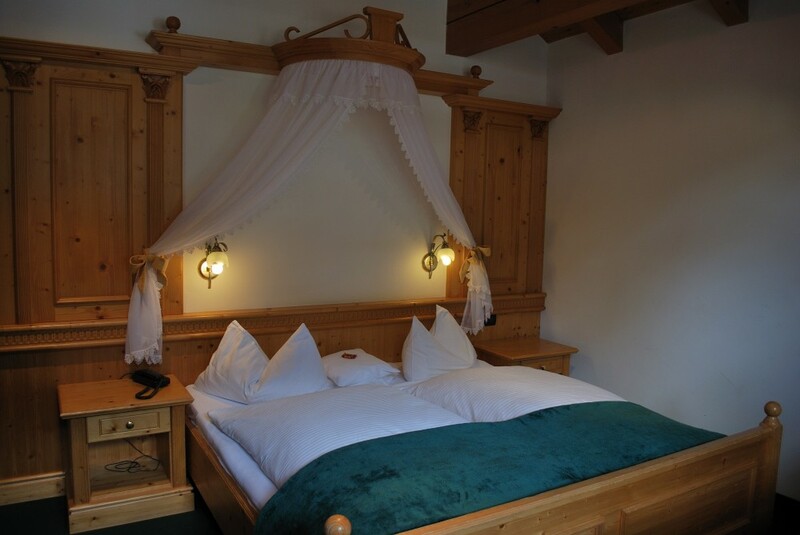 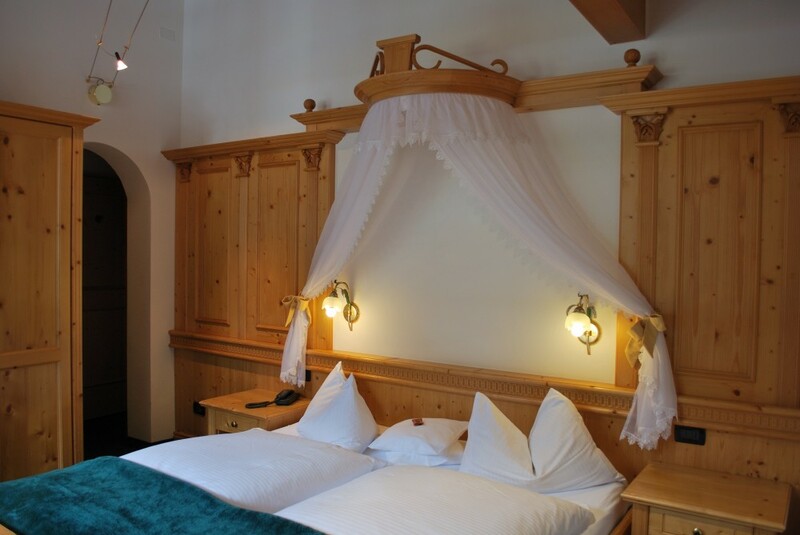 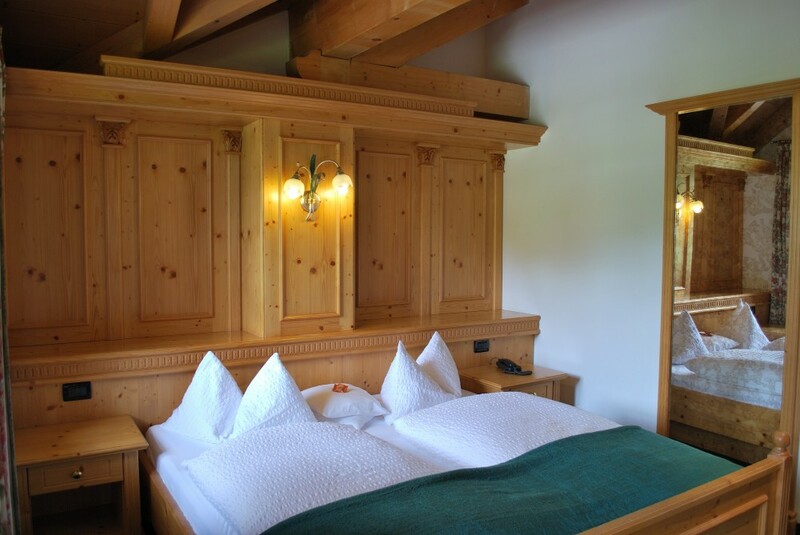 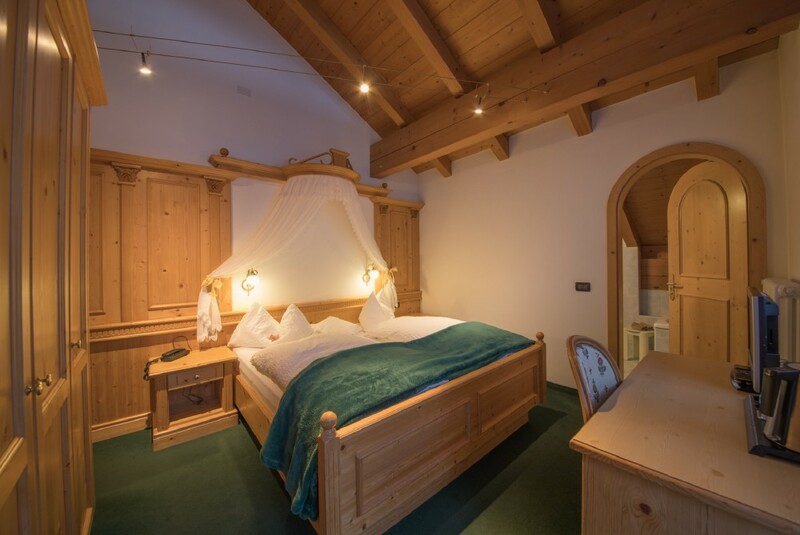 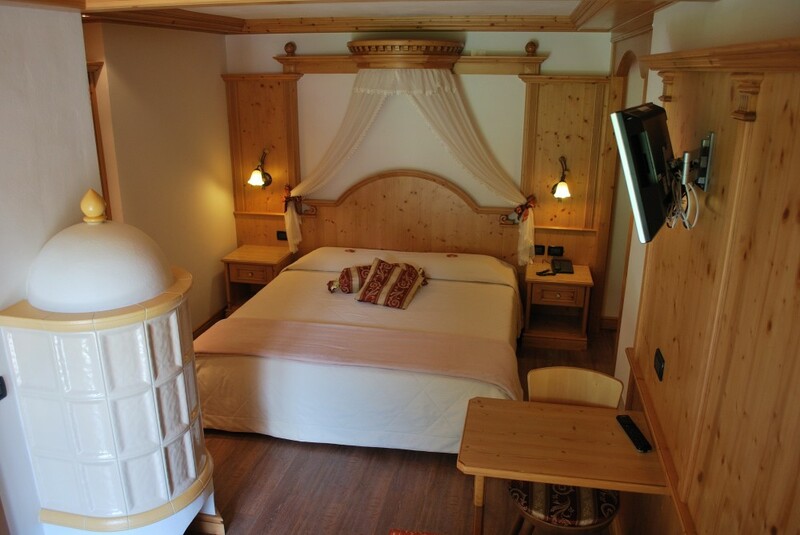 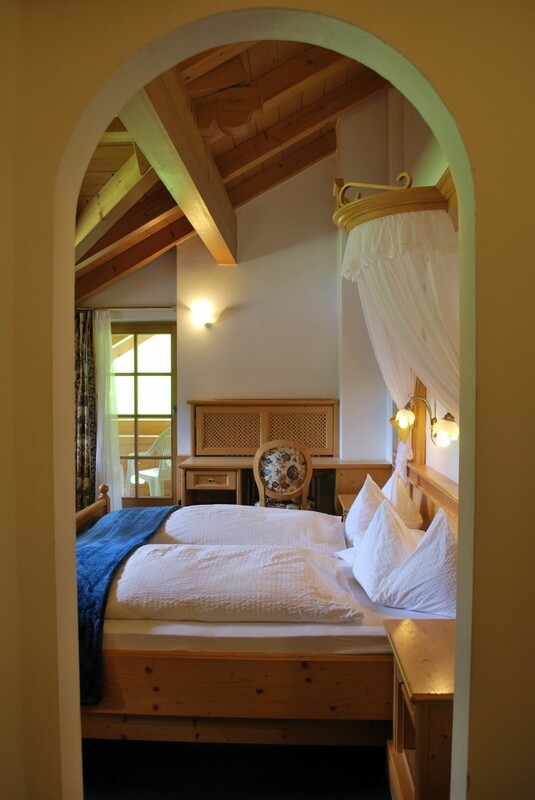 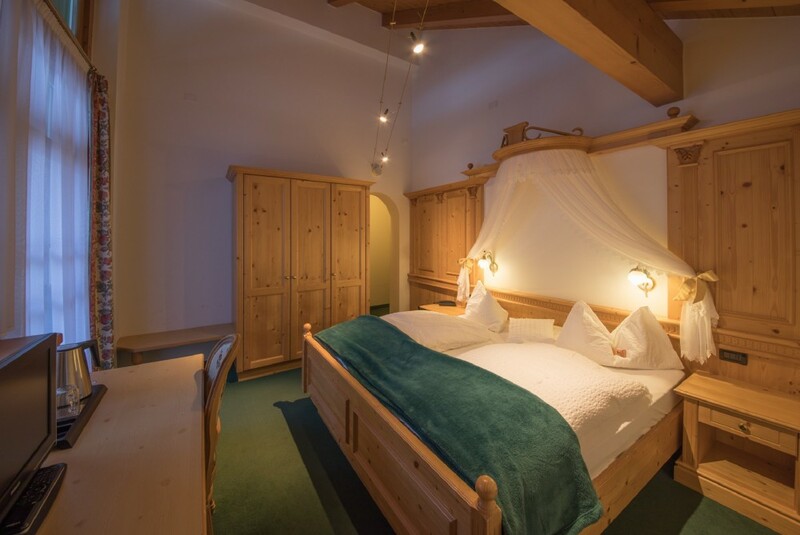 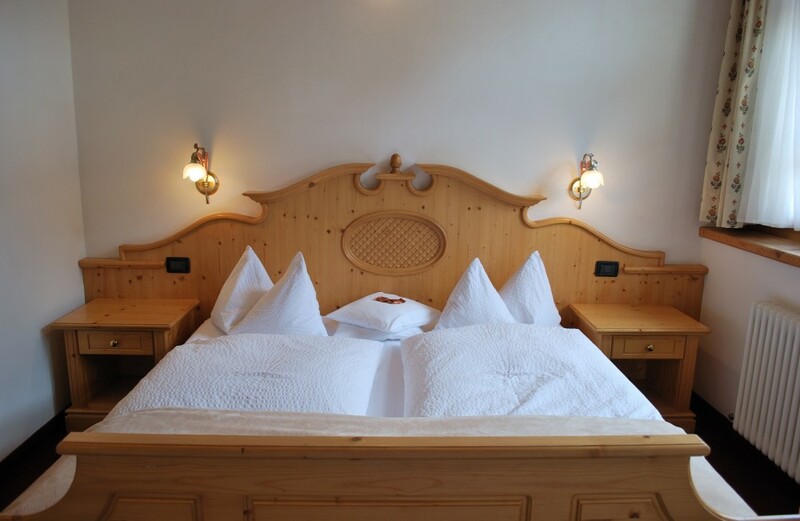 A little and charming garnì welcomes you to Alba di Canazei,Val di Fassa, in the heart of the Dolomites. 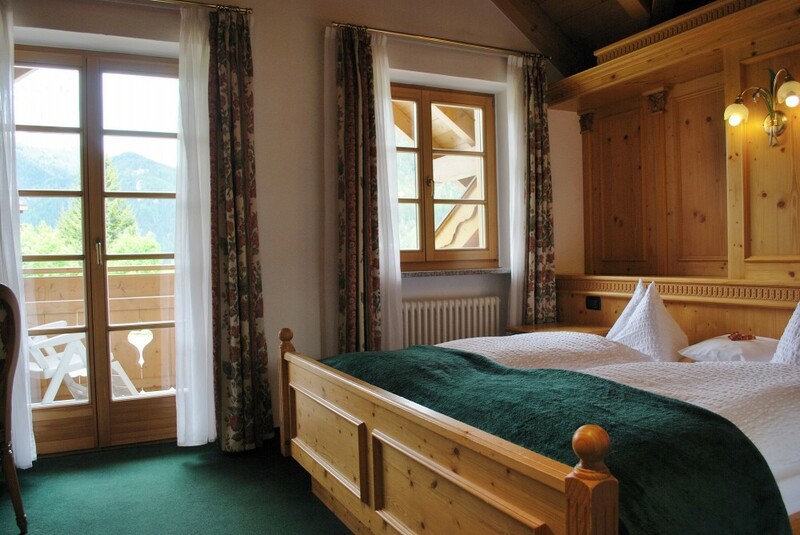 Area whose unique beauty and spectacular mountains will leave you speechless! 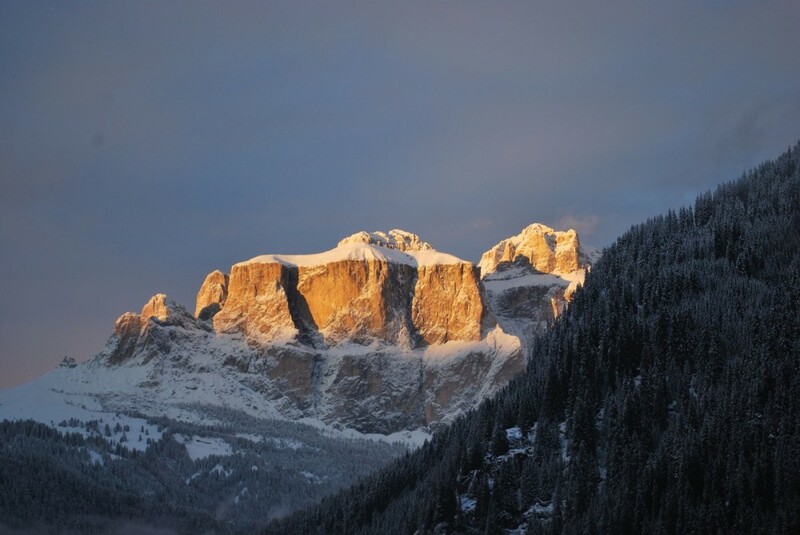 In 2009 the Dolomites have been listed by Unesco as a World Heritage Site. 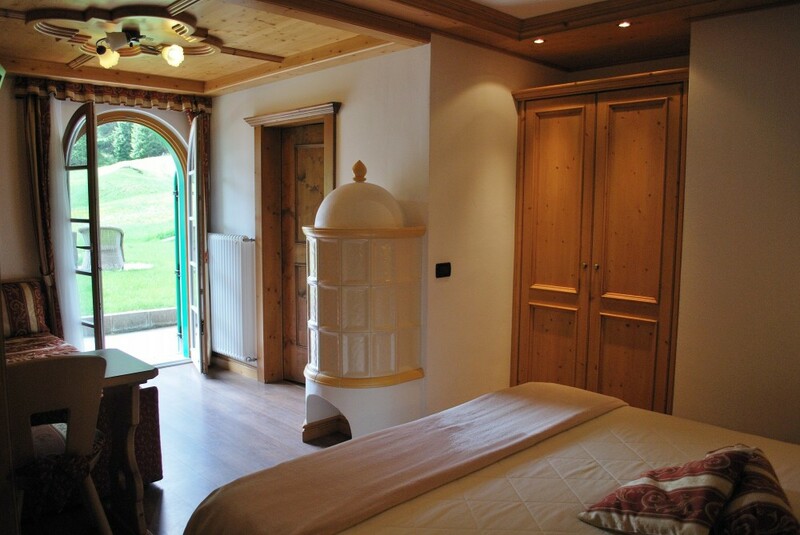 Since 2004 our garnì has been proudly awarded and listed in the well known French hotel guide “Le Guide du Routard”.Val de Costa offers bed and breakfast accommodation so that you can enjoy your holiday time in full liberty. 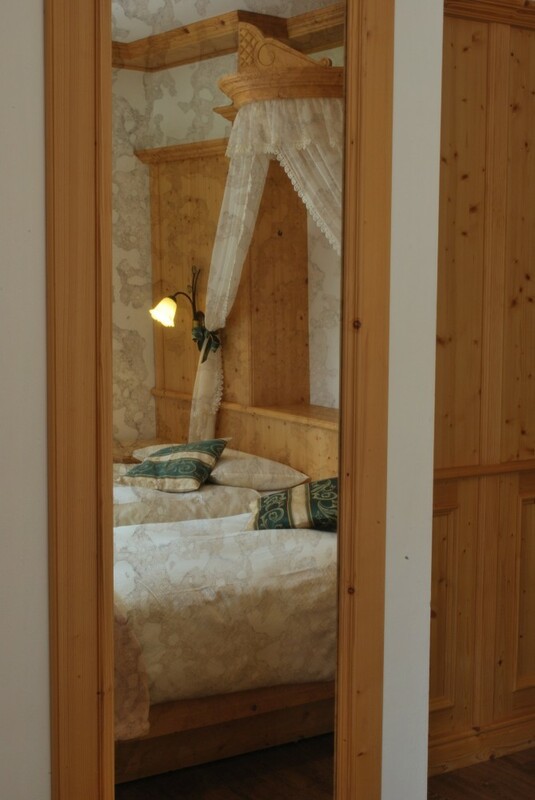 If however, you prefer half board service we can arrange dinner service at our family restaurant just opposite our garnì. 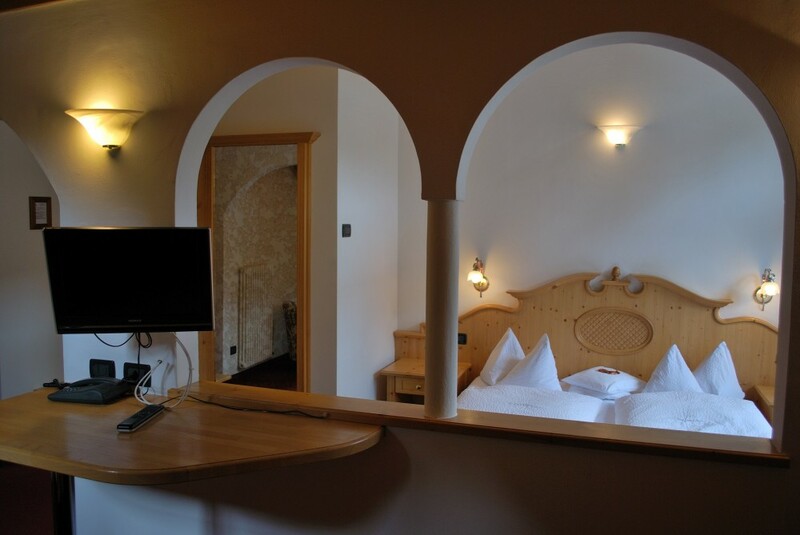 situated in the little centre of Alba where the view of the Sassolungo mountain is striking. 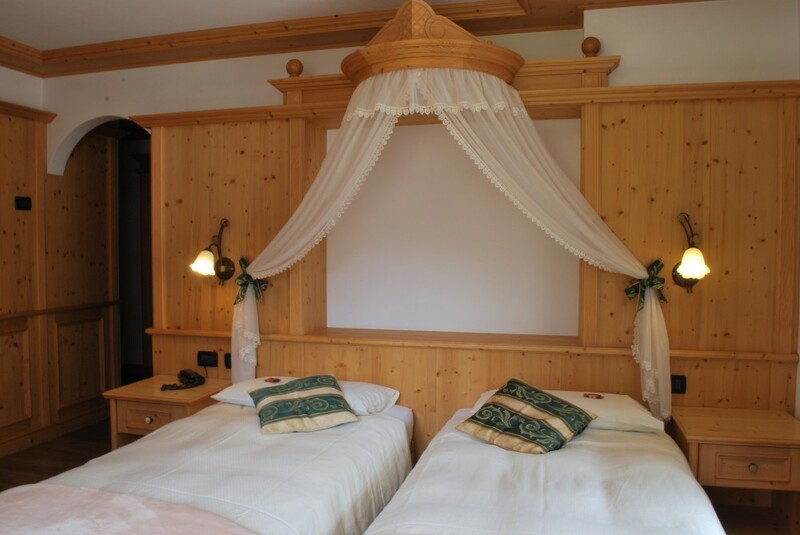 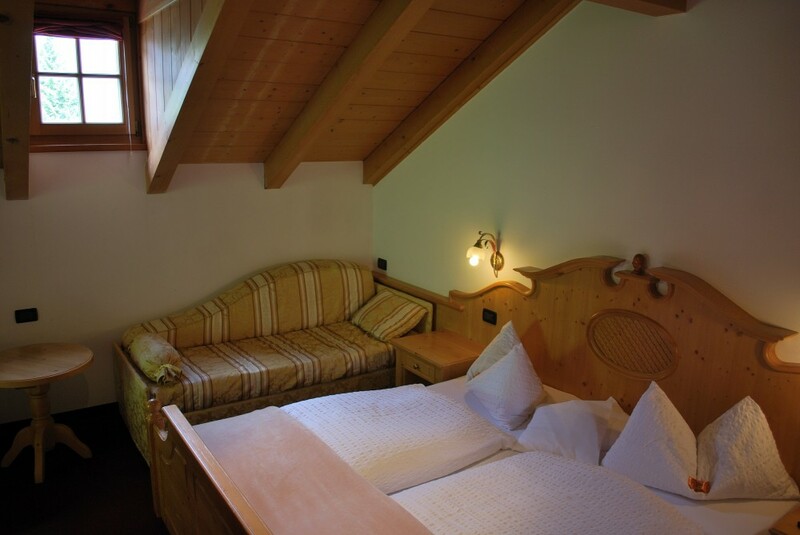 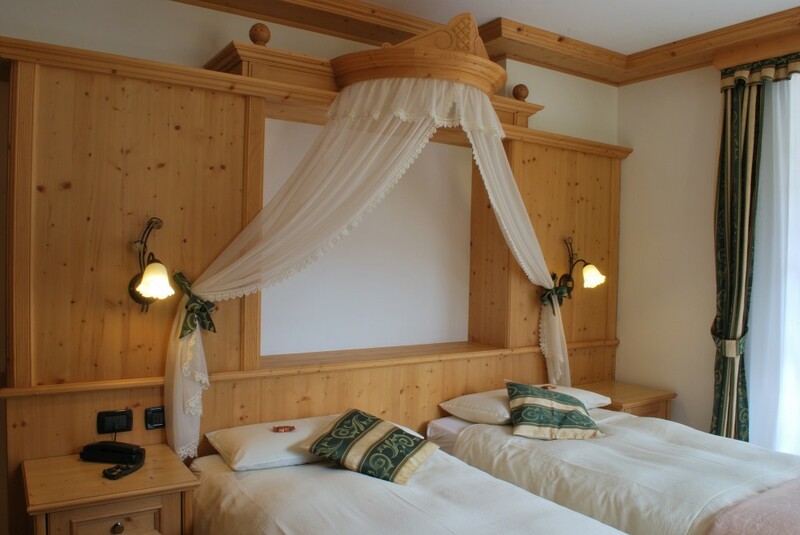 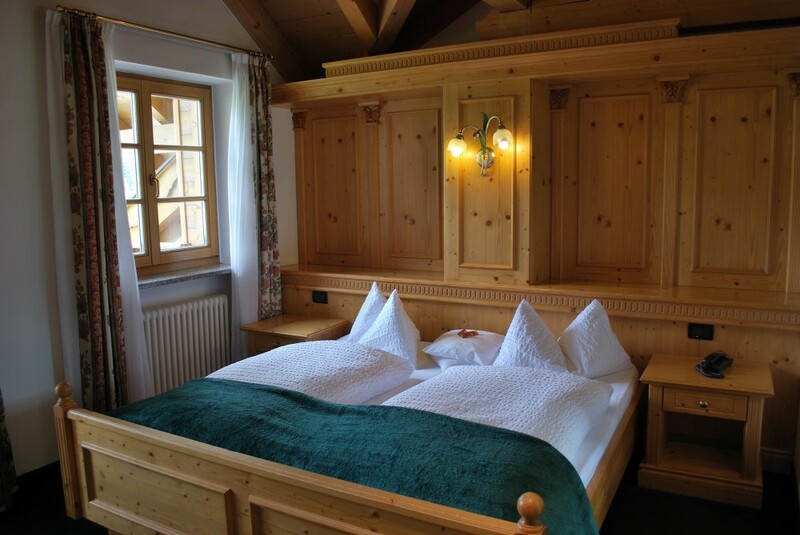 It lies just 2 km from Canazei,the biggest and well -known tourist centre in the valley. 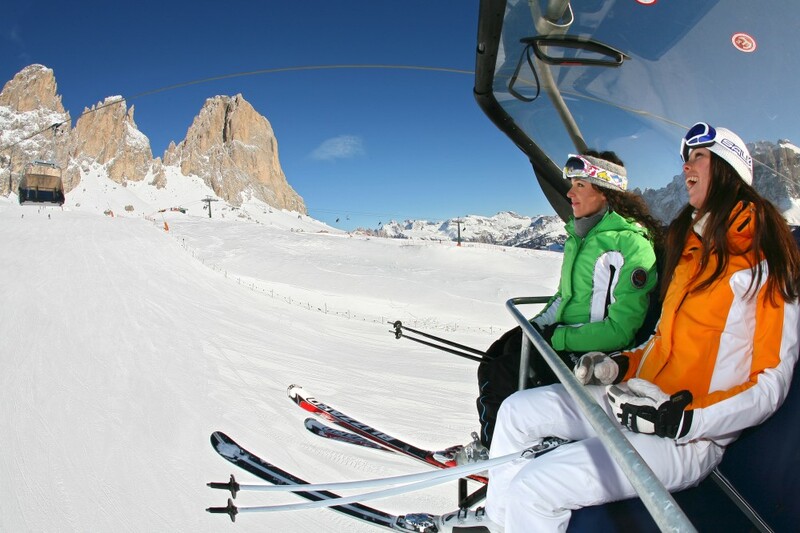 The cable car stations are conveniently located close by: 1,5 km to the Belvedere ski zone which is connected to the famous Sellaronda in the Dolomiti Superski paradise area and 500 m. to the Ciampac-Buffaure ski zone on the Panorama tour area and to the new cable car Alba-Col de Rossi which is directly linked to the Sellaronda! 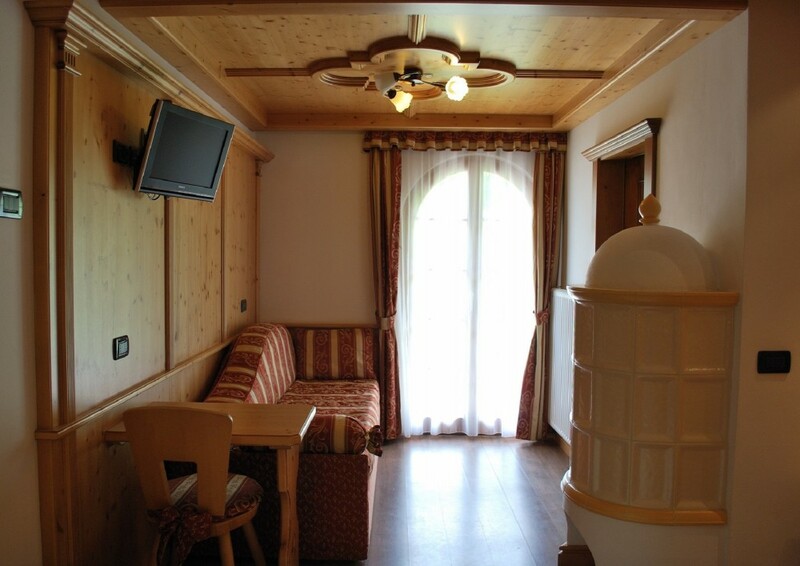 All the cable car stations are reachable by a public bus service and the bus stop is directly at our door step! 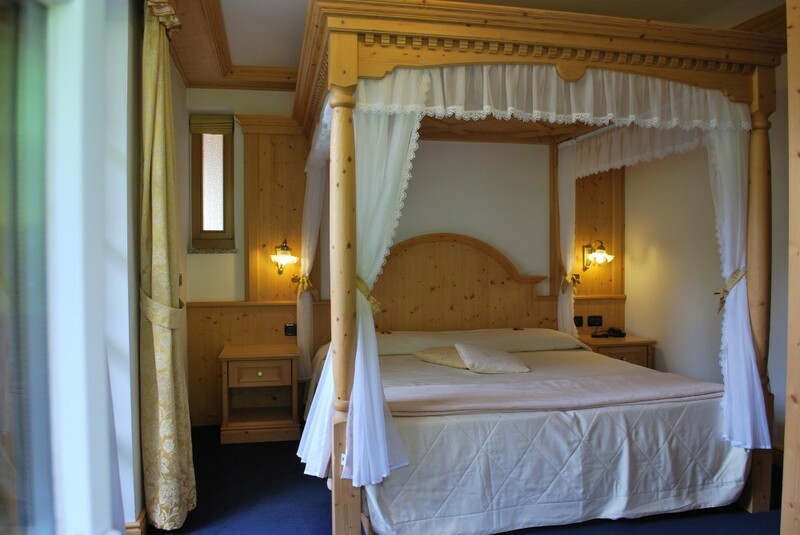 Garnì Val de Costa is ideally situated for all your activities, sightseeing and relaxing holiday. 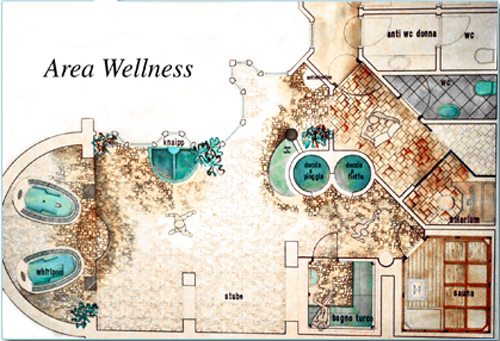 It’s an excellent starting point for hikes and pleasant walks in the Summer. 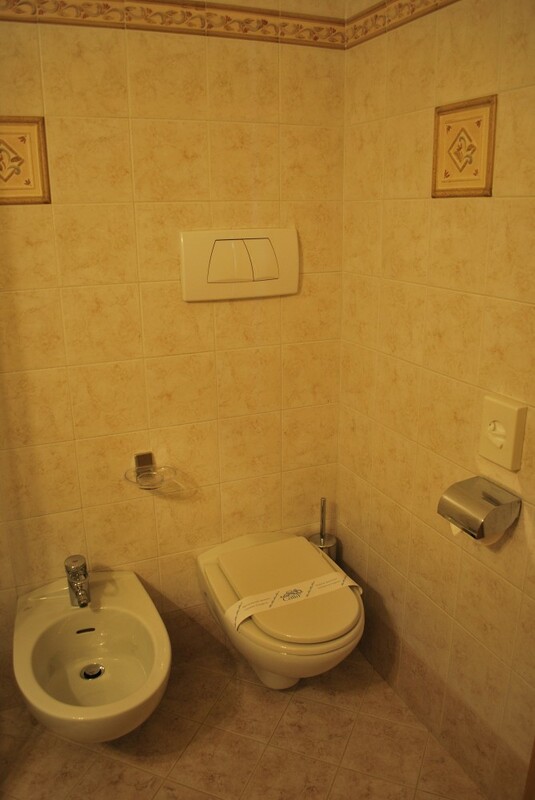 We will gladly give you our best advice for your trip. 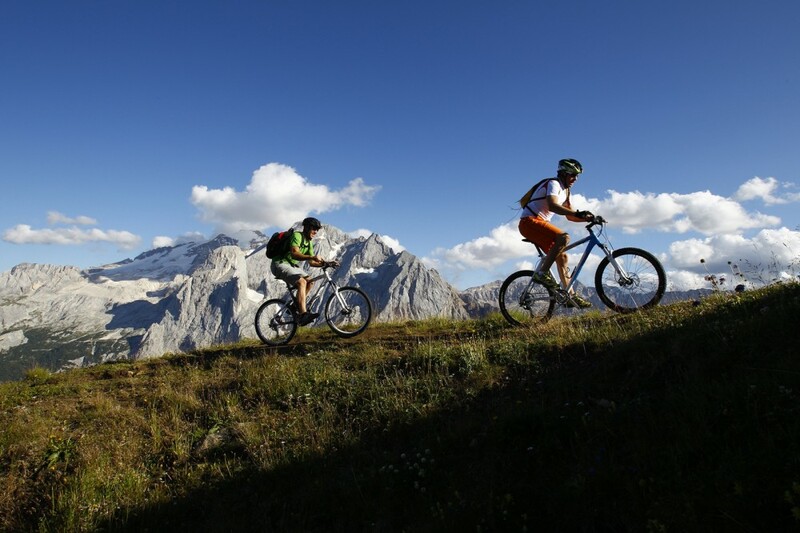 In both Winter and Summer you can visit the Fedaia Pass, Pordoi Pass and Sella Pass so as to admire one of the finest sceneries in the Alps.Their winding roads are particularly appreciated by bikers and motorcyclists. 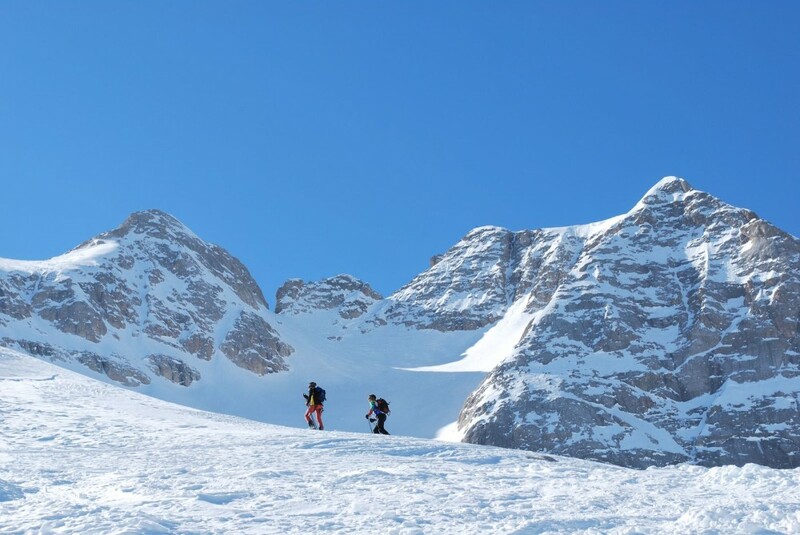 Driving through the Fedaia Pass you will reach the Marmolada,the famous glacier also known as “The Queen of the Dolomites”.During the First World War on the Marmolada there was the battle front between the Austro -Hungarian Empire and the Kingdom of Italy.It is now the preferred destination for mountaineering. 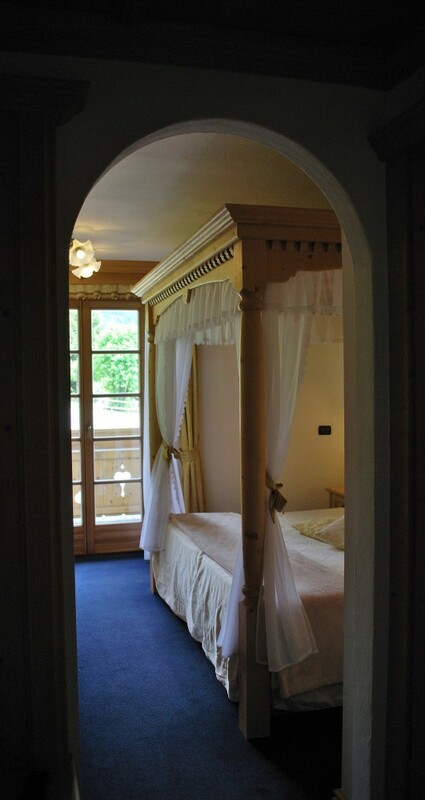 Feeling at home....Val de Costa is a little, charming garni’with only 9 rooms! 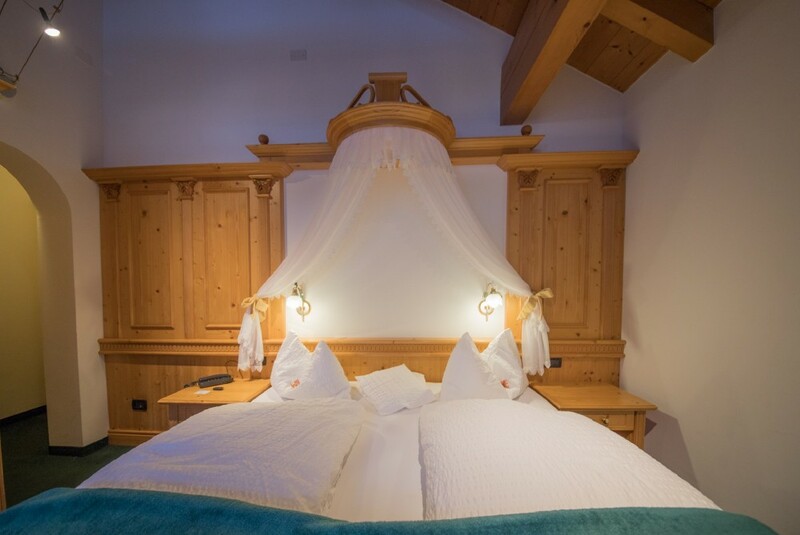 They are all comfortable but different, with details and materials which have been selected and carefully combined in a refined way.....some of them are romantic! 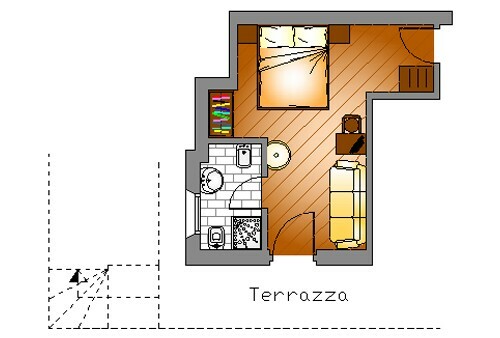 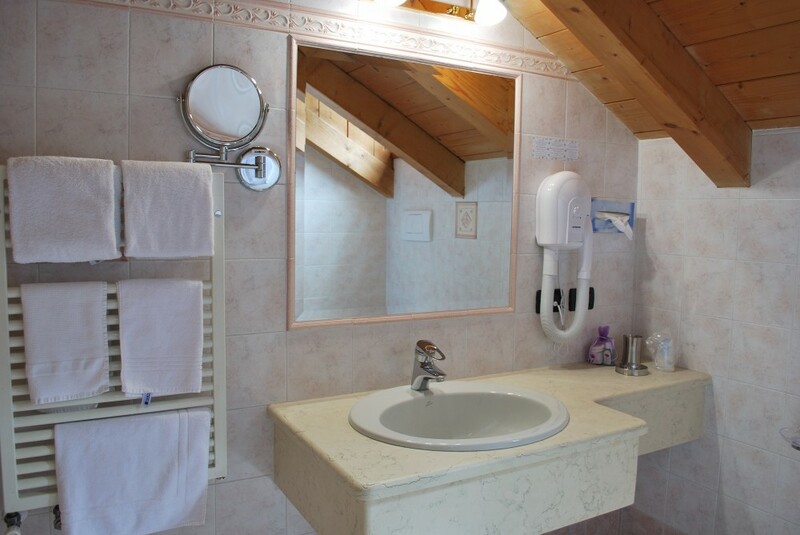 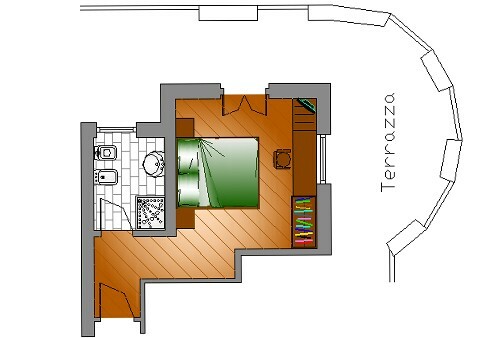 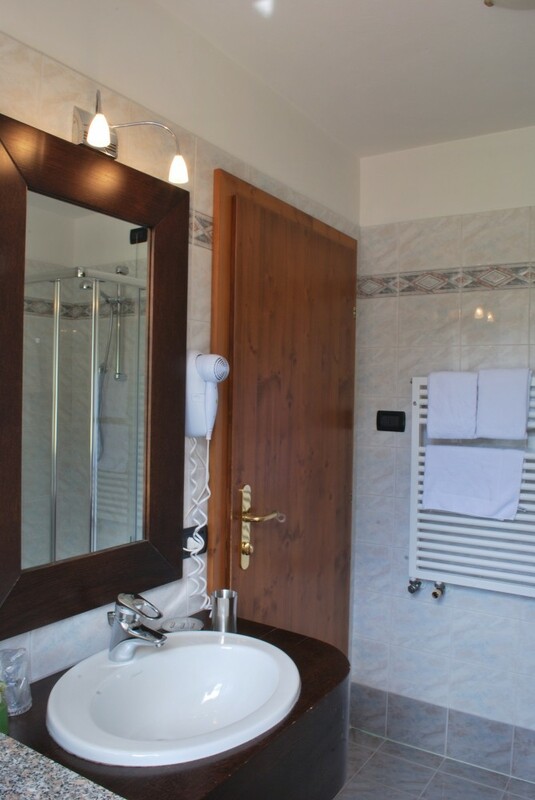 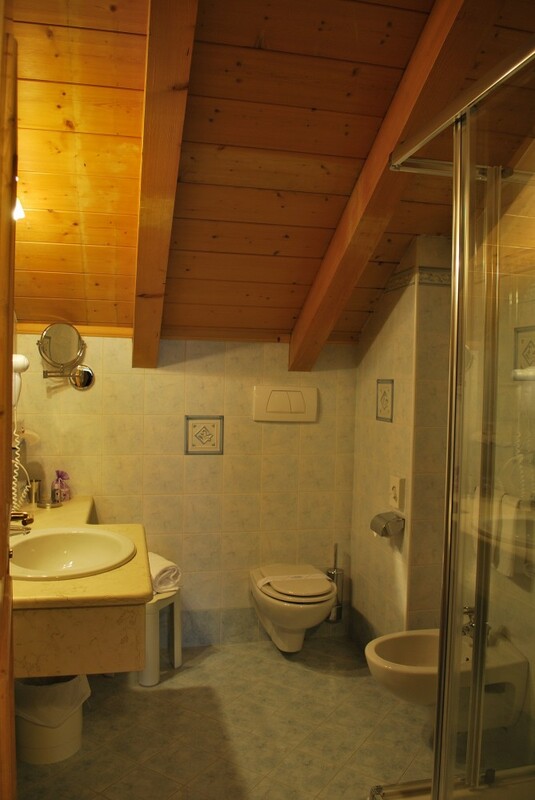 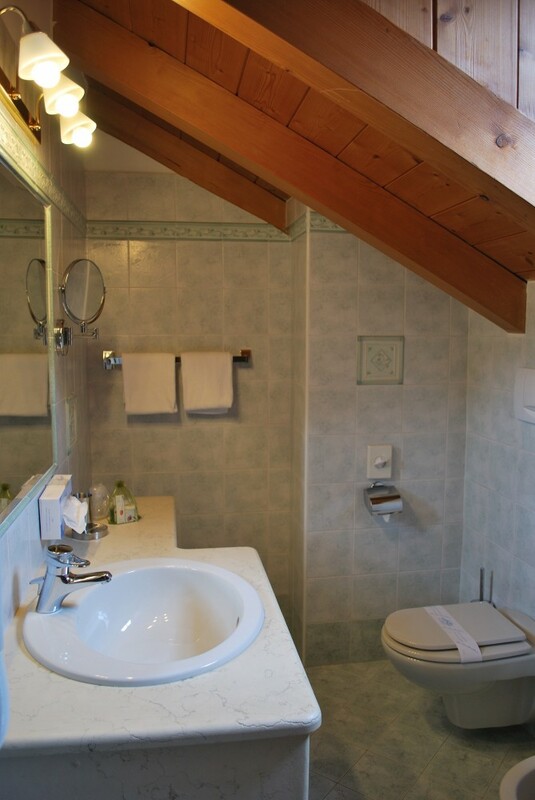 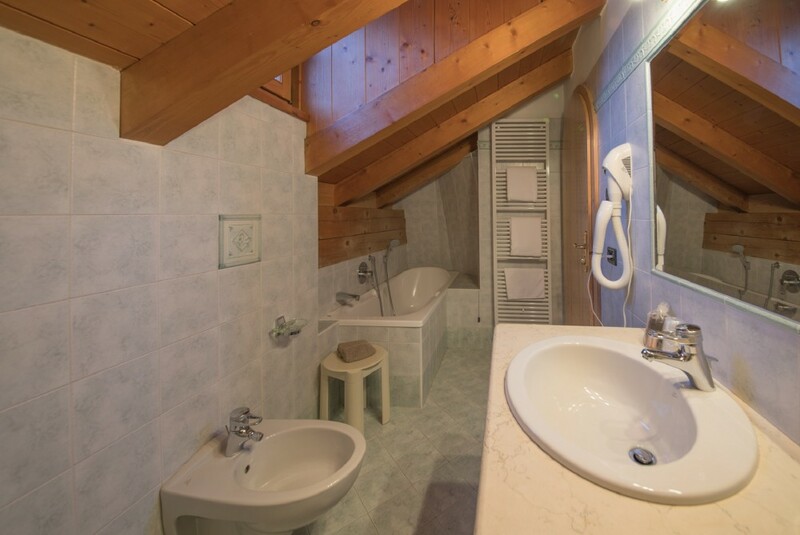 Parquet, terrace, safe, sat-TV, wifi, telephone, bathroom with window, shower, hair dryer, make-up mirror. 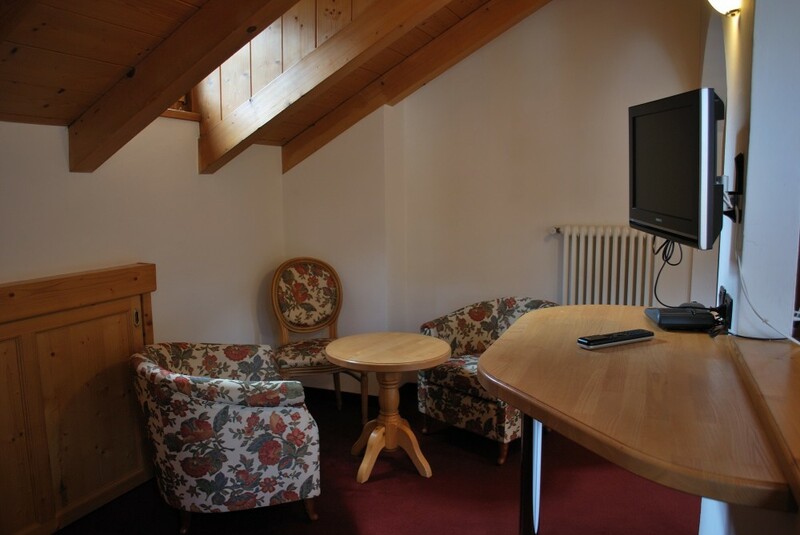 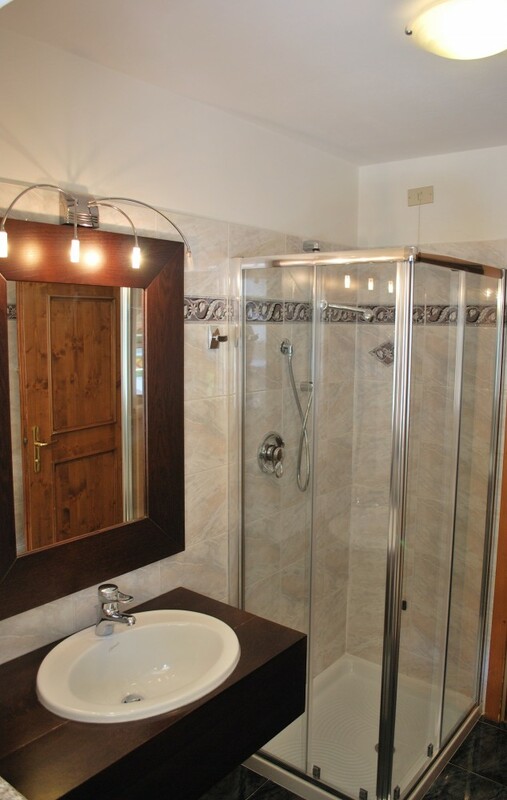 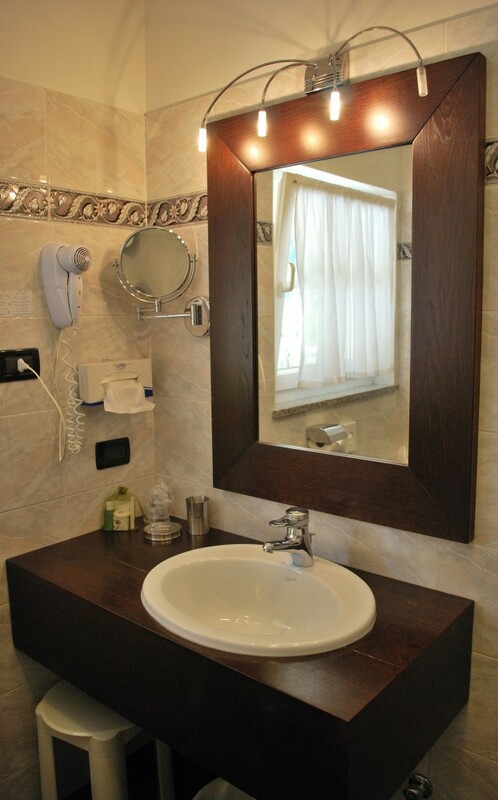 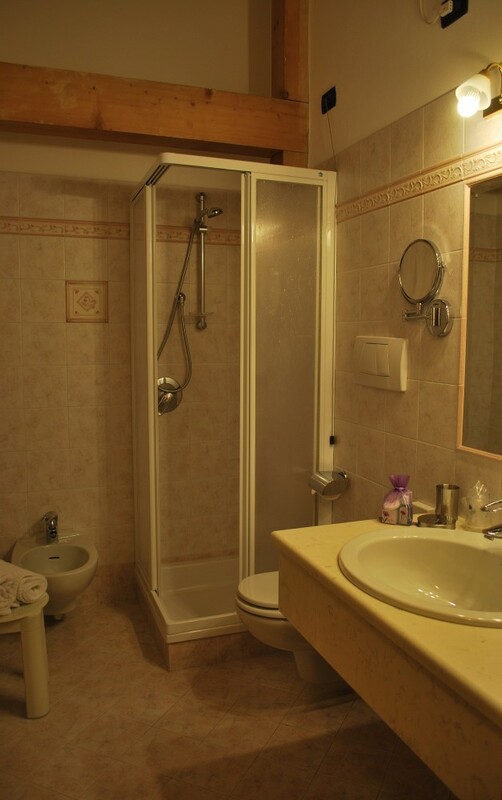 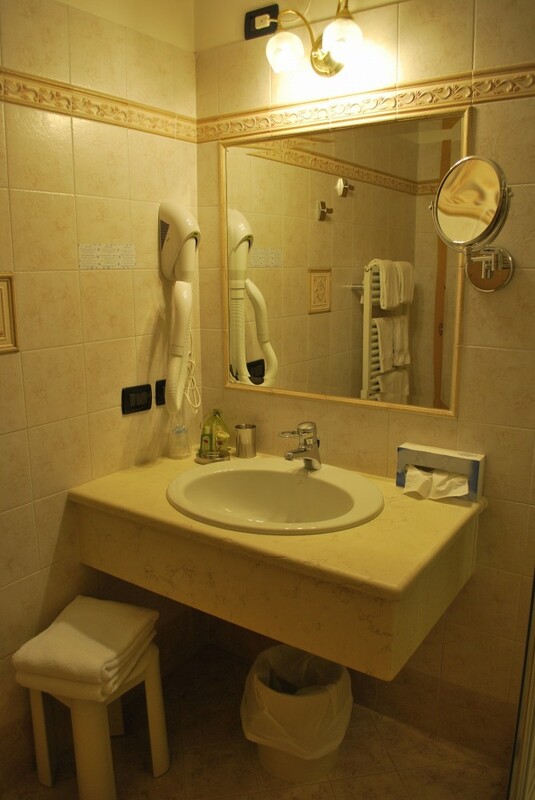 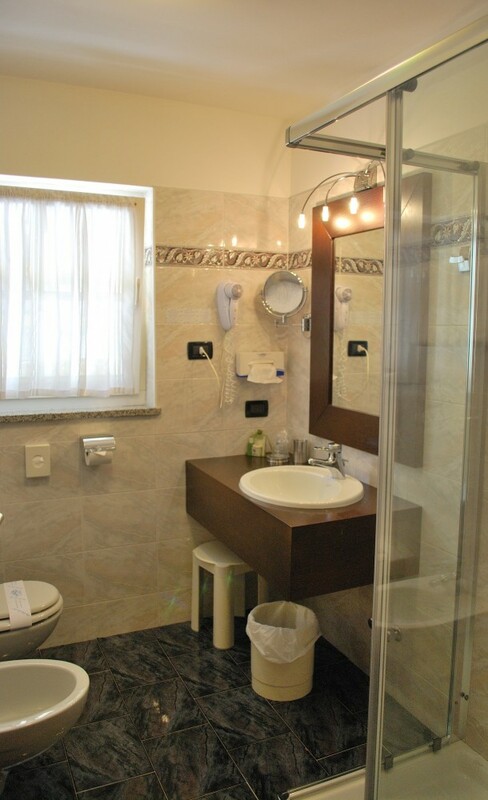 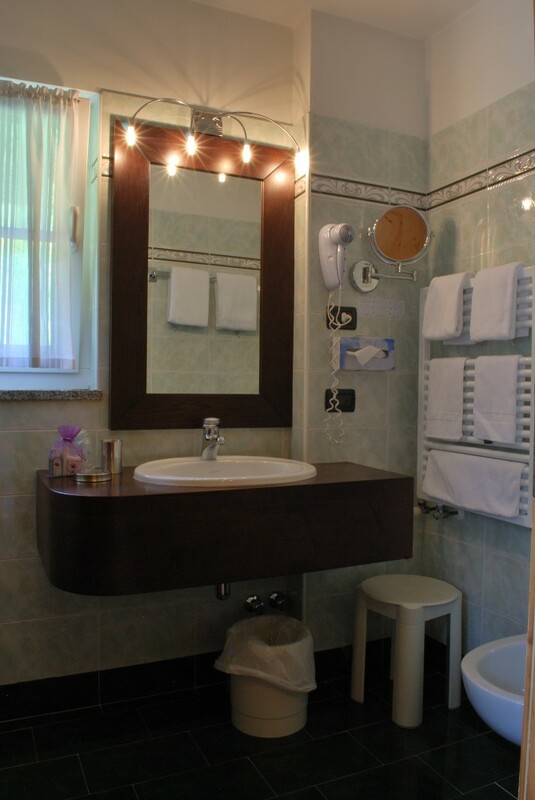 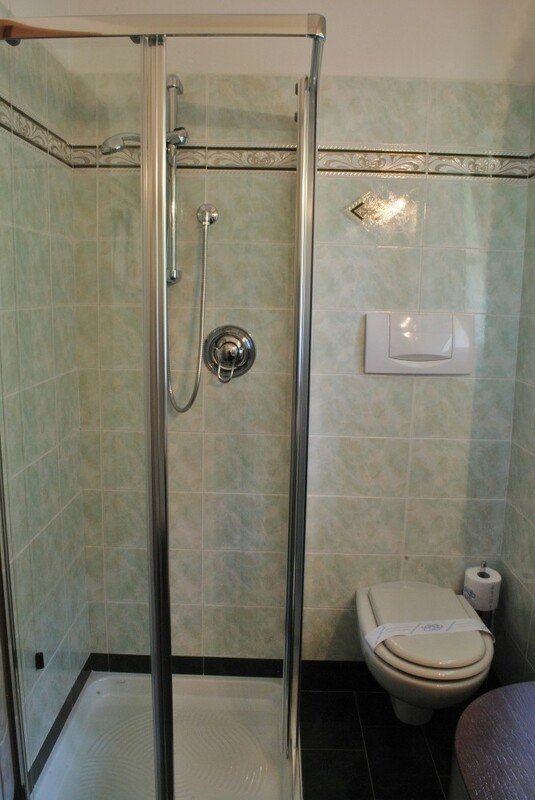 Parquet, safe, sat-TV, wifi, telephone, bathroom with window, shower, hair dryer,make-up mirror. 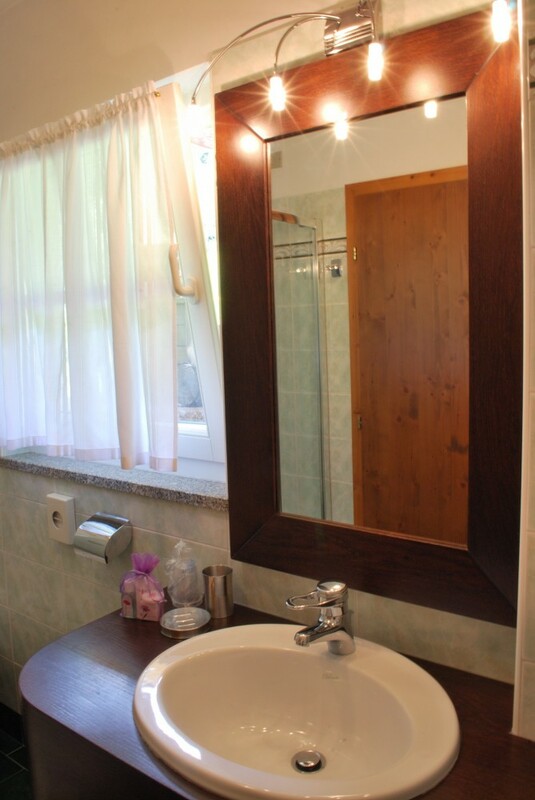 Parquet, garden, safe, sat-TV, wifi, telephone, typical ceramic tiled heater, bathroom with window, shower, hair dryer, make-up mirror. 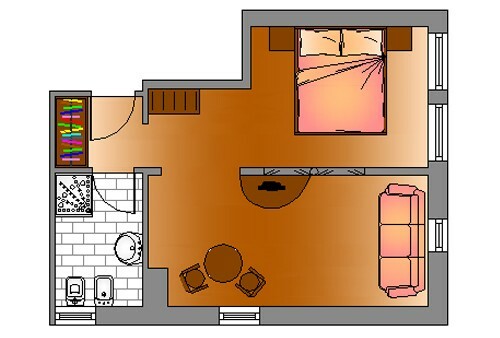 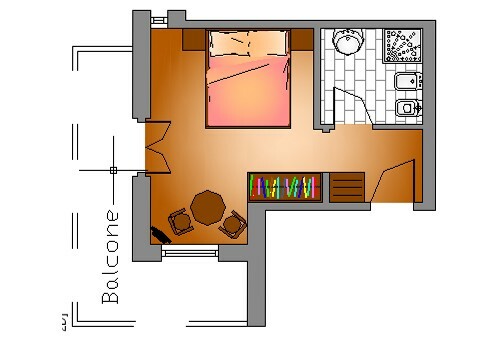 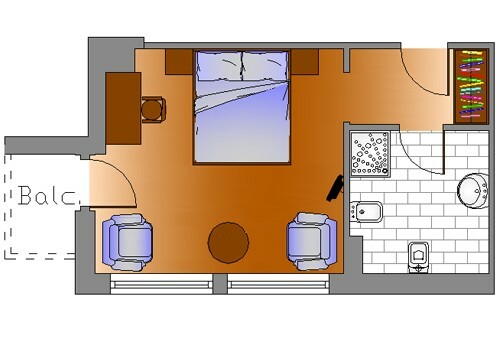 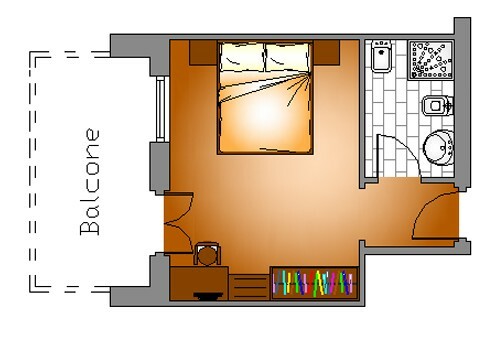 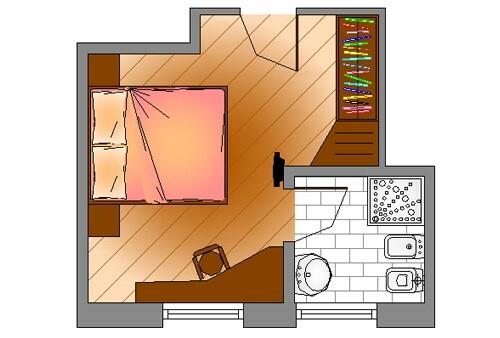 Carpeting, balcony, safe, sat-TV, wifi, telephone, bathroom with shower, shower, hair dryer, make-up mirror. 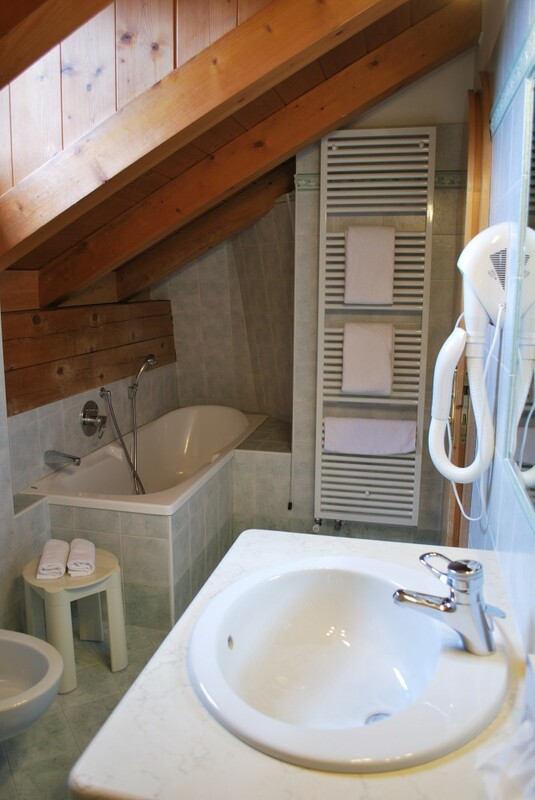 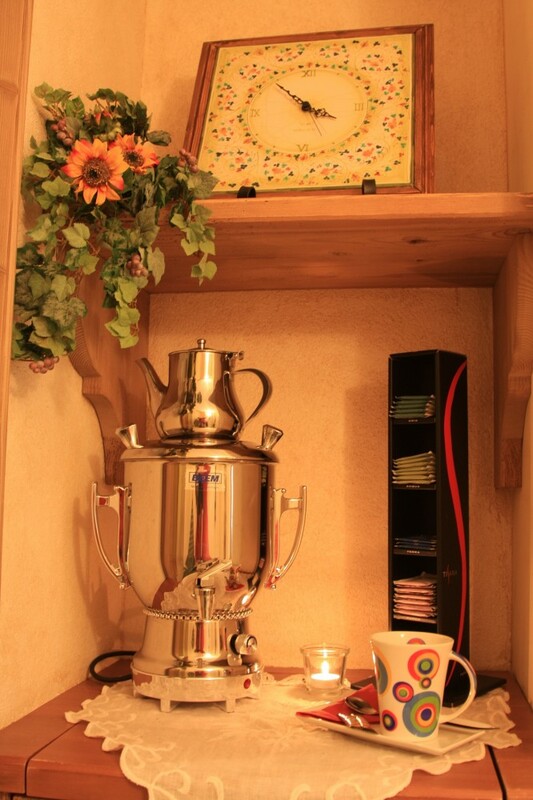 Carpeting, wooden beam ceiling, little balcony, safe, sat-TV, wifi, telephone, bathroom with shower, hair dryer, make-up mirror. 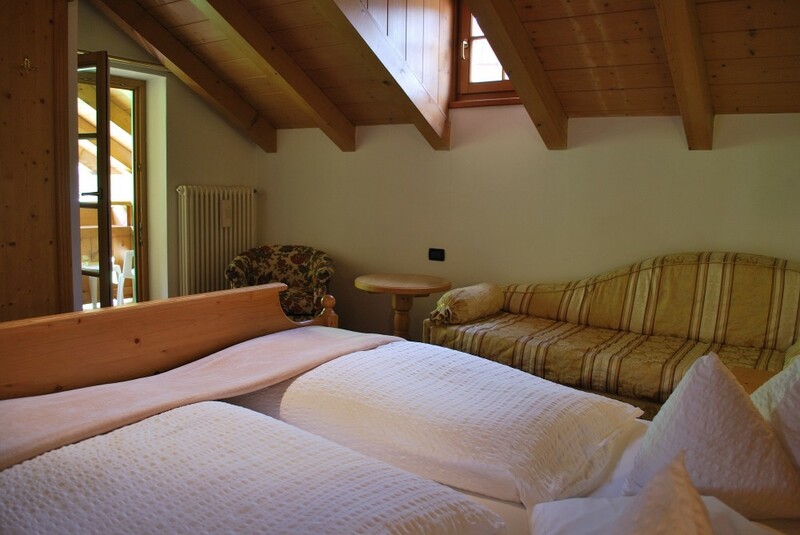 View/ facing: garden and Crepa Neigra. 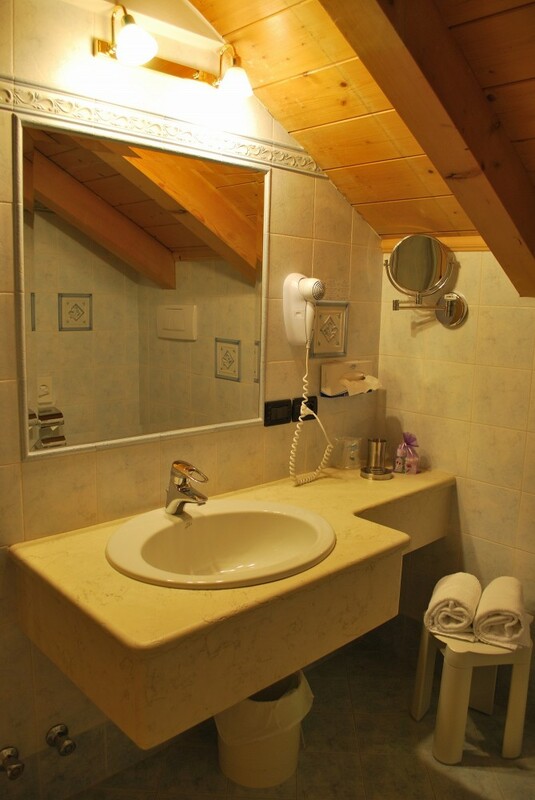 Carpeting, wooden beam ceiling, balcony, safe, sat-TV, wifi, telephone, bathroom with shower, hair dryer, make-up mirror. 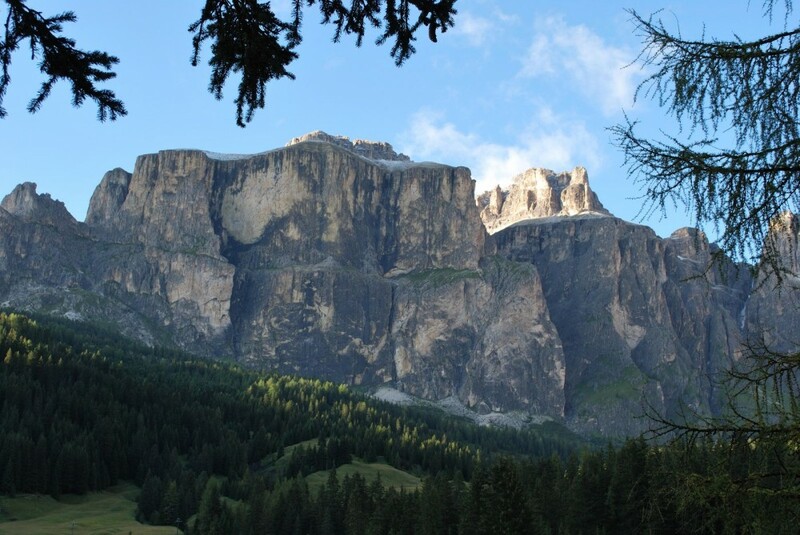 View/facing: Sassolungo,passo Sella and Ciavazes. 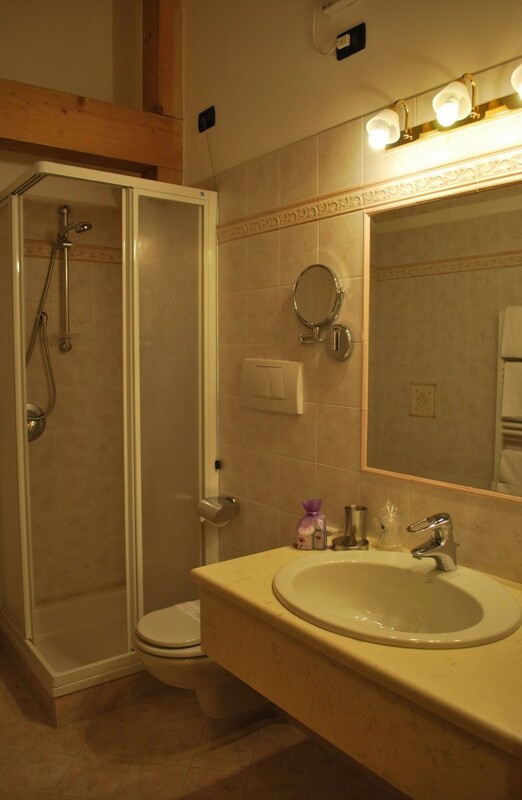 Carpeting, wooden beam ceiling, balcony, safe, sat-TV, wifi, telephone, bathroom with window, bathtub, hair dryer, make-up mirror. 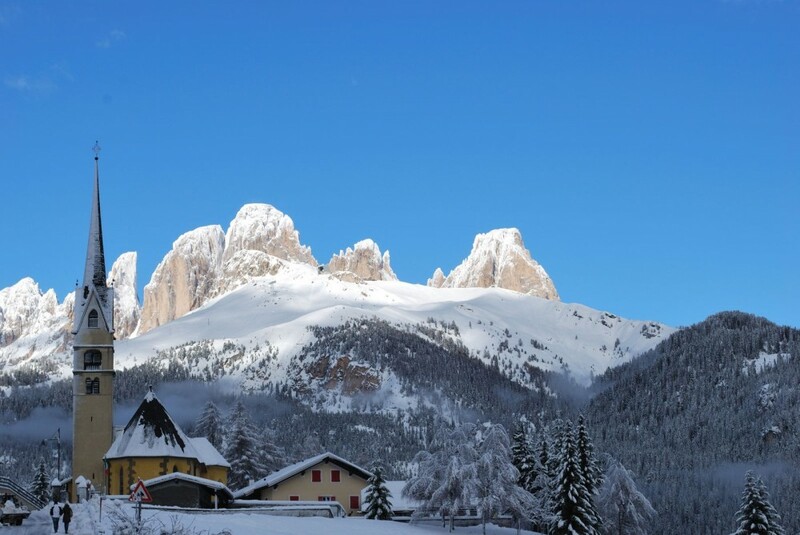 View/facing: Doleda, Gran Vernel, passo Sella and Ciavazes. 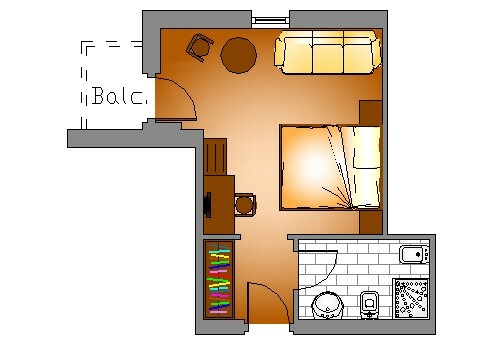 Carpeting, wooden beam ceiling, safe, sat-TV, wifi, telephone, bathroom with window, shower, hair dryer, make-up mirror. 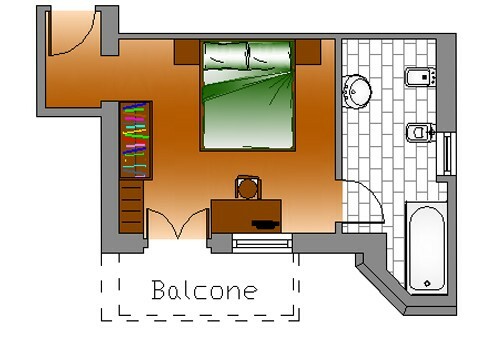 Carpeting, wooden beam ceiling, little balcony, safe, sat-TV, wifi, telephone, bathroom with shower, hair dryer, make-up mirror . 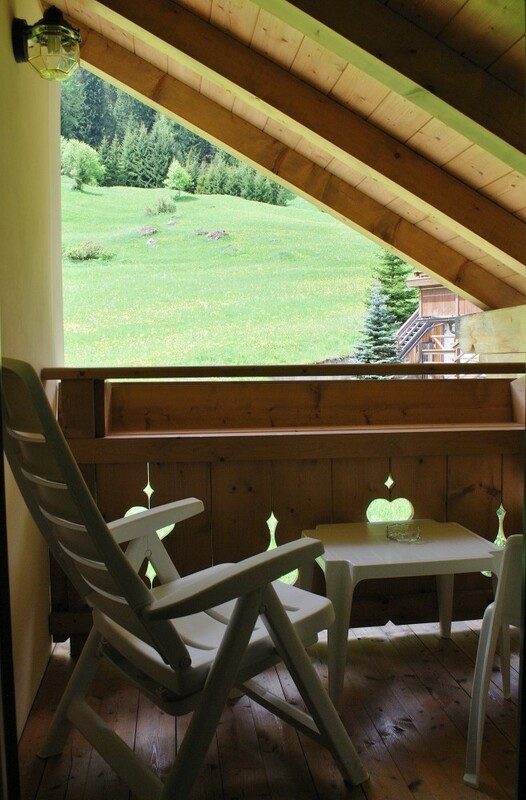 View/facing: garden, Gran Vernel, Cirelle, Colac and Crepa Neigra. 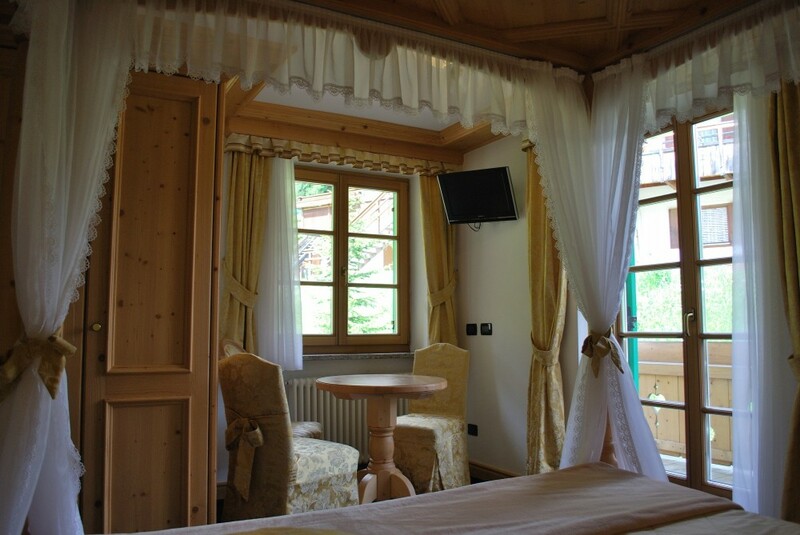 Relaxing and unwinding in the Dolomites, where nature enchants and inspires with fables and fairy-tales. 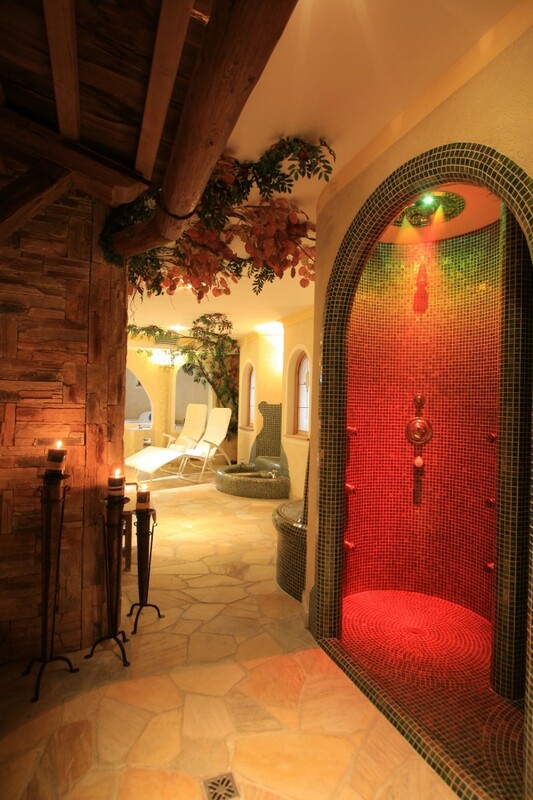 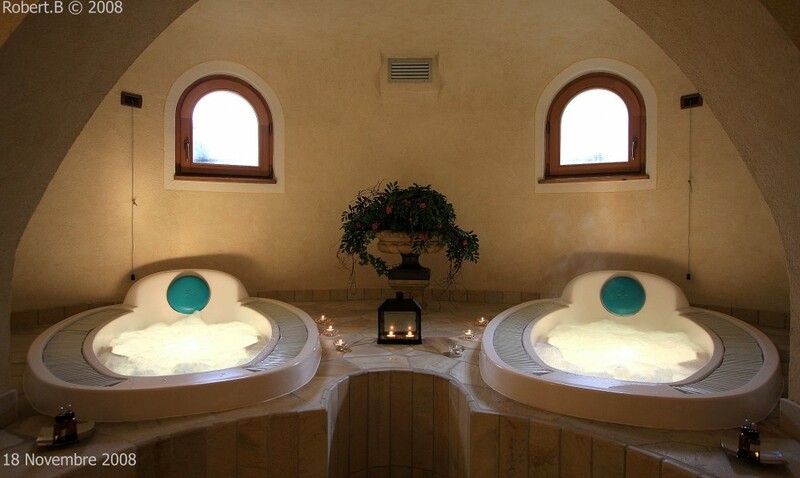 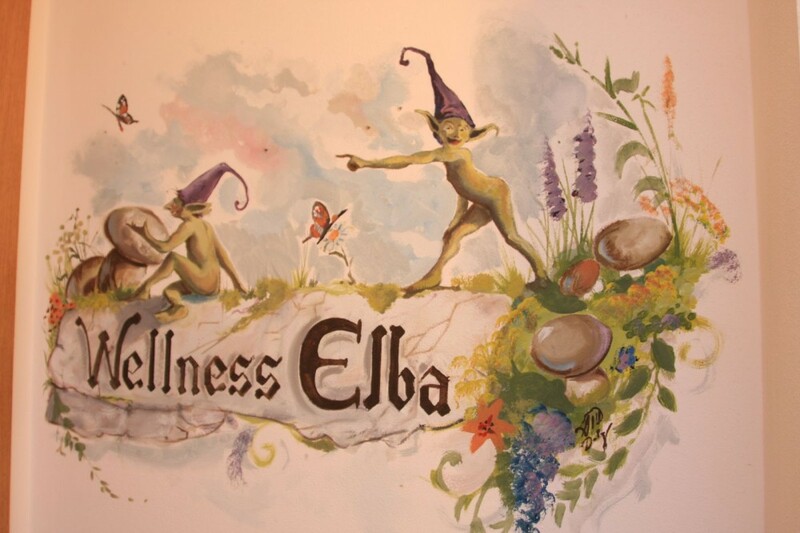 We dedicated our lovely wellness area to “Elba” the sun’s daughter in the “Dolomites Legend”. 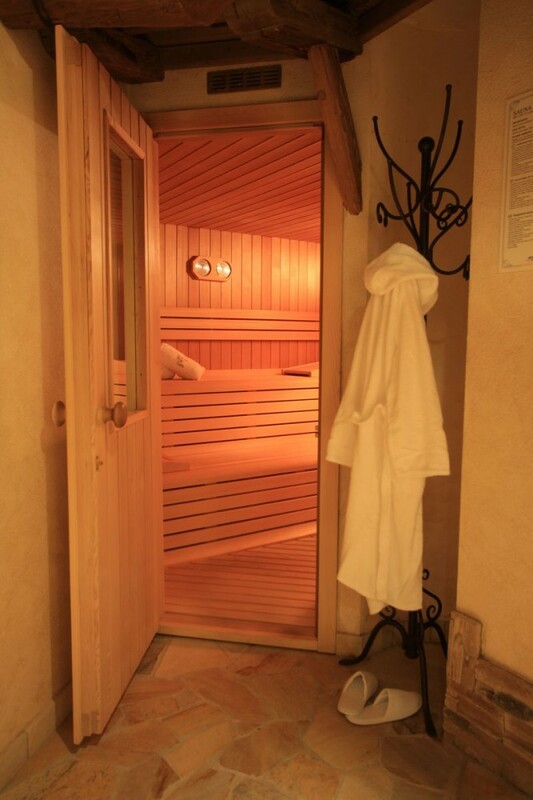 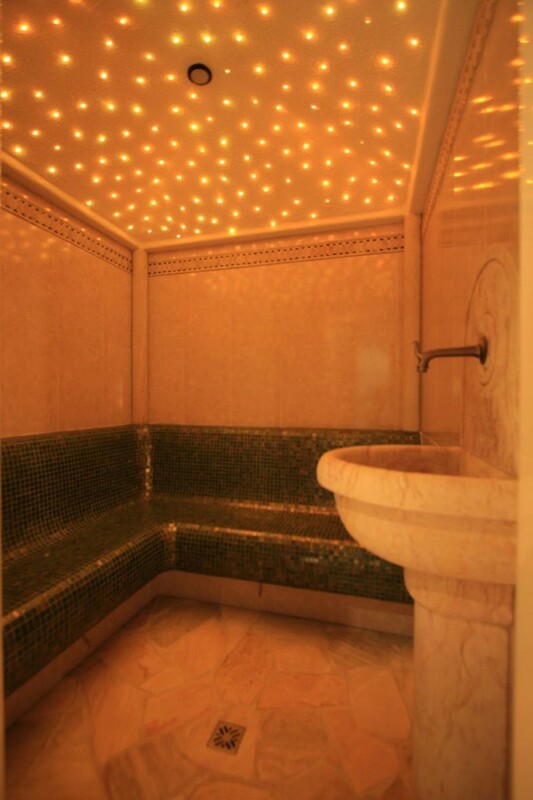 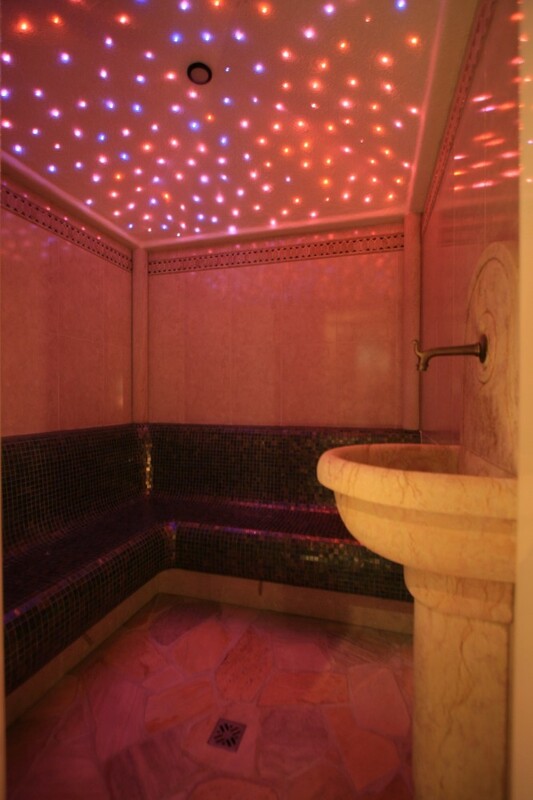 With sauna, turkish bath, jacuzzi/whirlpools, kneipp, tropical showers and a tea corner...it provides just the perfect ambience for relaxing and revitalizing! 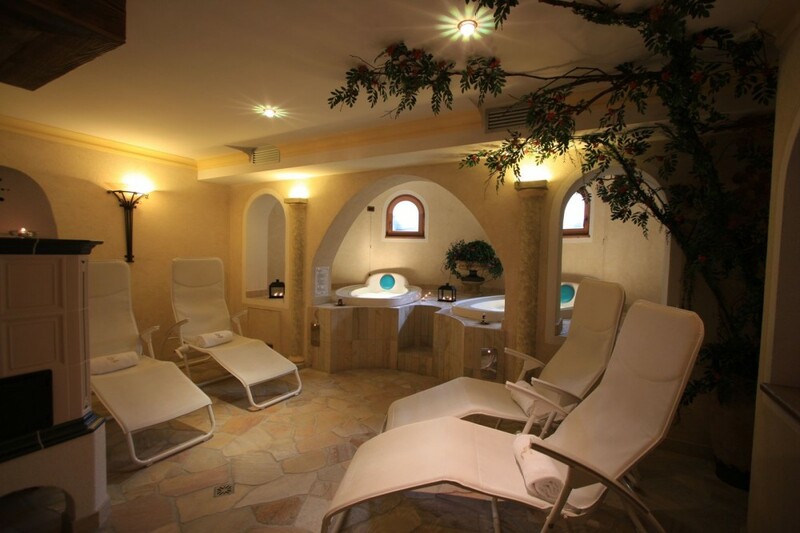 But not only Wellness Elba...for our guests we can offer also a special price for the entrance to the wonderful thermal center QC TERME in Pozza di Fassa where the thermal waters that flow from the natural spring Alloch, the only sulphurous spring in Trentino, now feed all indoor practices and pools at QC Terme Dolomiti. 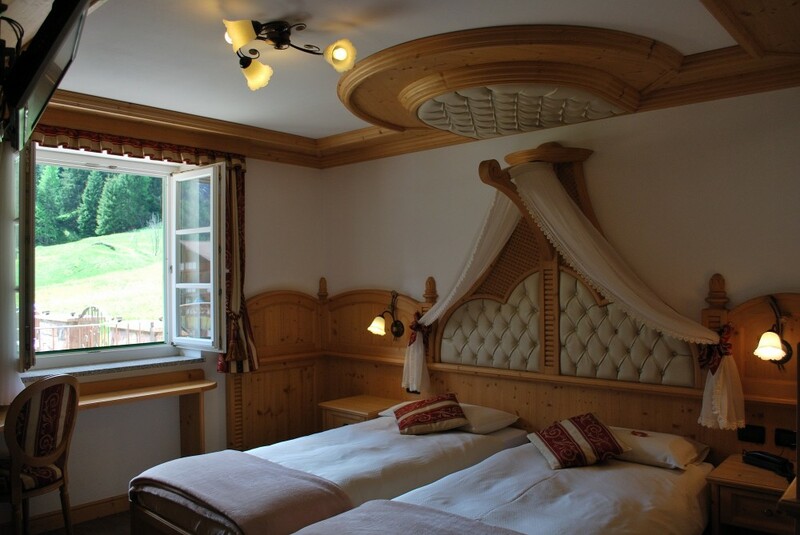 Allow yourself to be enchanted by a spectacular panorama! 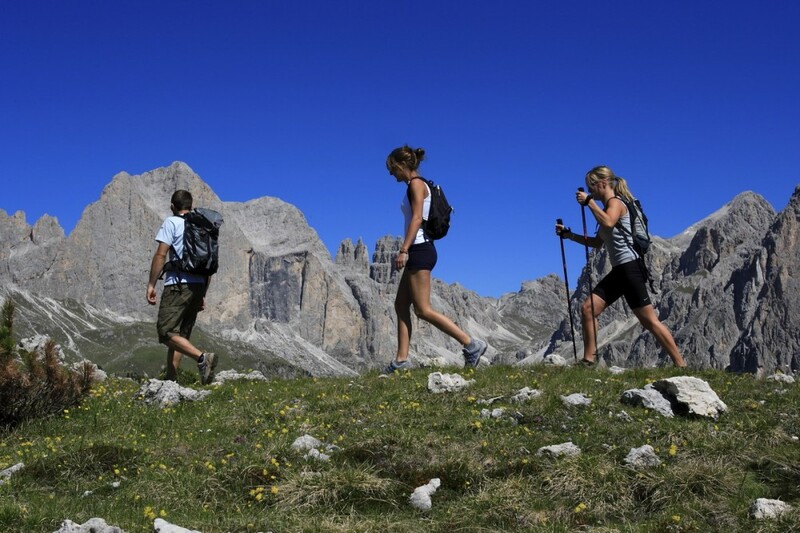 During the Summer season the choice of outdoor activities in Val di Fassa is so wide that you have only to choose! 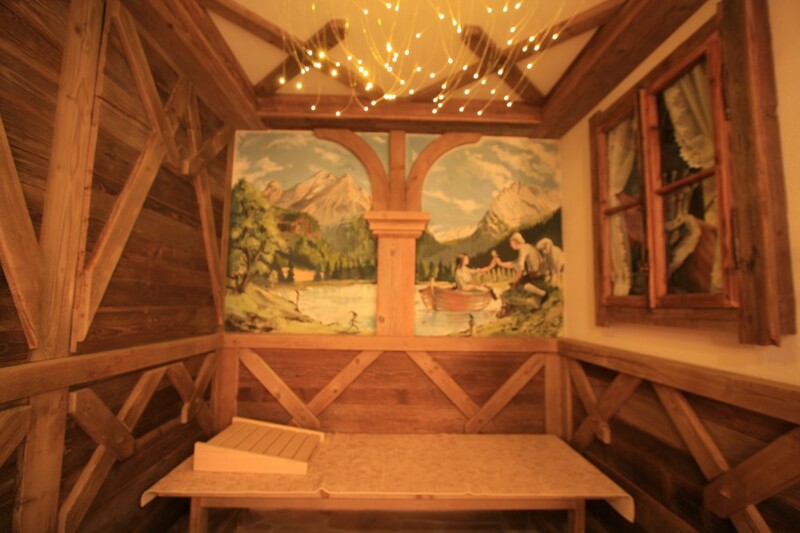 From easy and relaxed walking in the valley,alongside the river Avisio or through the woods, to more difficult paths,high altitude hiking and via ferrata…..maybe stopping along the way in one of the many mountain hut refuges for a tasty and traditional alpine meal! 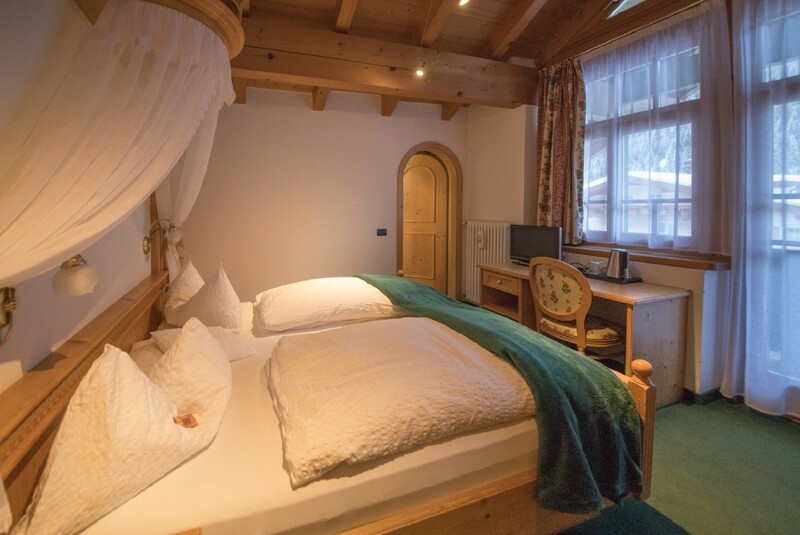 Other activities you can undertake are cycling,mountain biking,free flying like paragliding ,golfing...and last but not least for the little ones to enjoy...special fun programs organized for children. 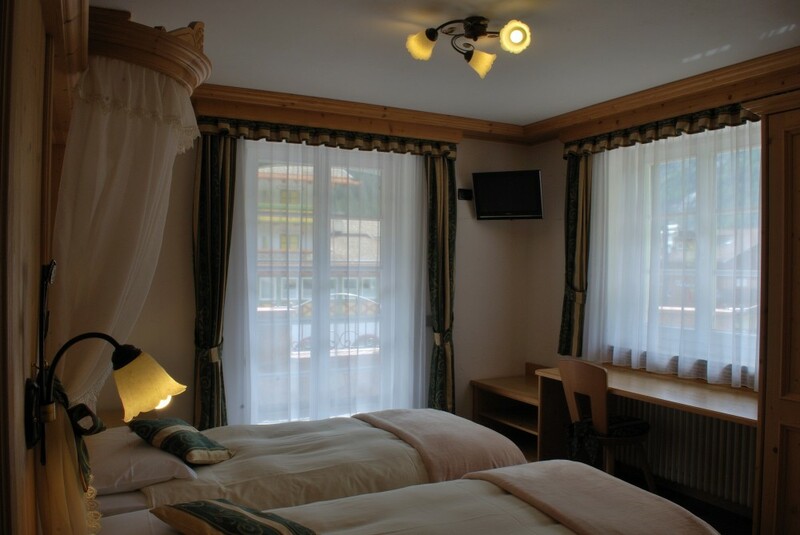 To reach the top of the mountains just take the cable car where you can admire beautiful sunsets and breathtaking scenery. 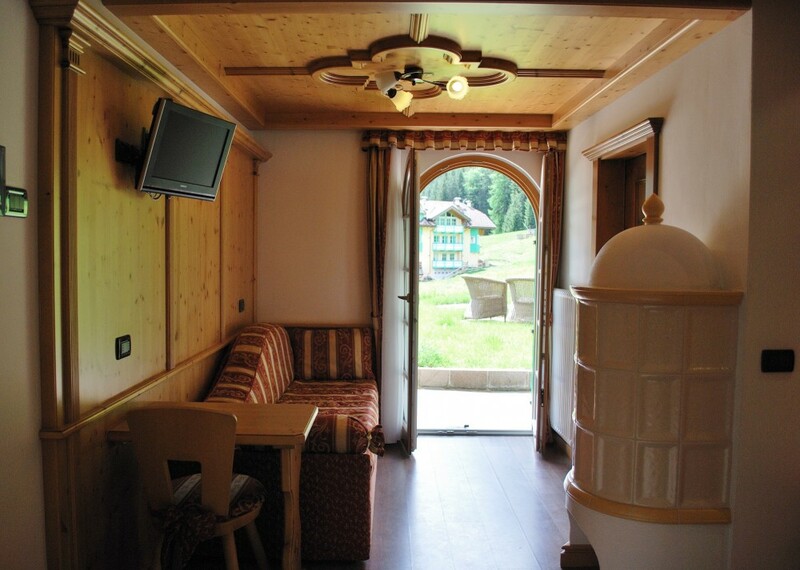 With the Panorama Pass card you have unlimited use of the lifts and buses in the valley. 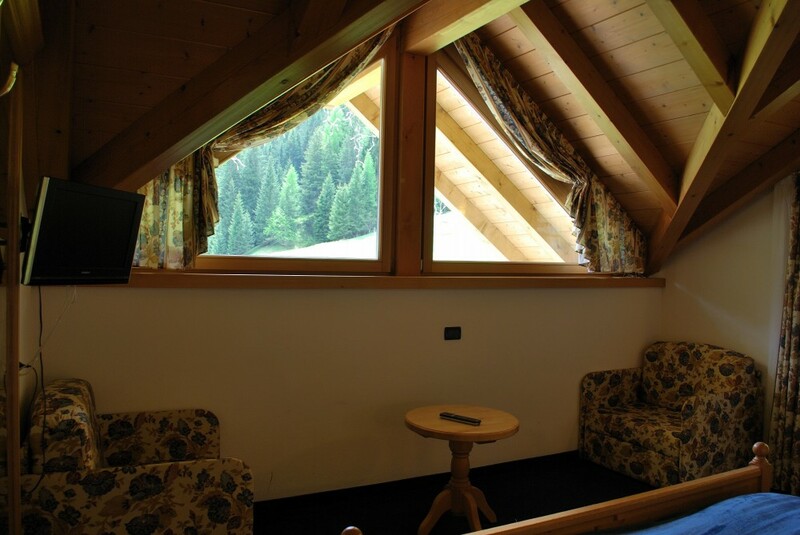 For our guests the Panorama Pass has a special price thanks to the Val di fassa card, ask for it at the reception! 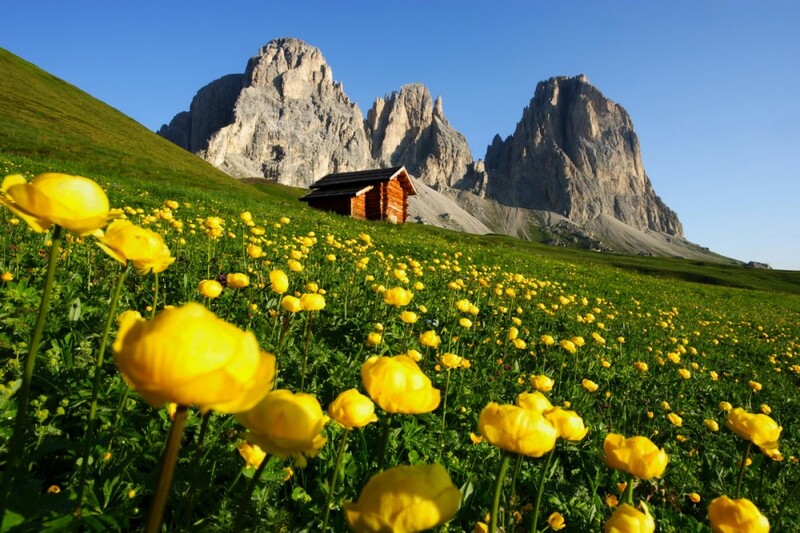 The Summer holiday in Val di Fassa is not only this, the calendar is full of events: concerts, folk shows, cultural and gastronomic events. 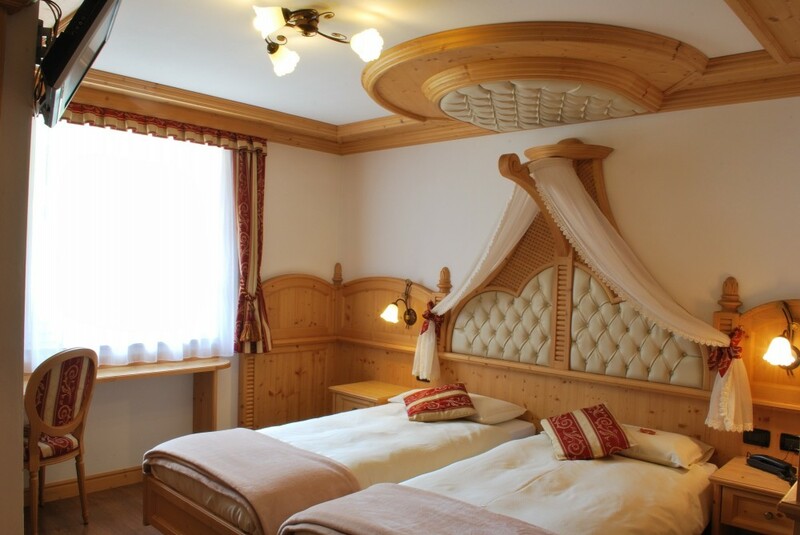 Here you will learn and come to know more about the interesting Ladin world whose language and tradition are unique. 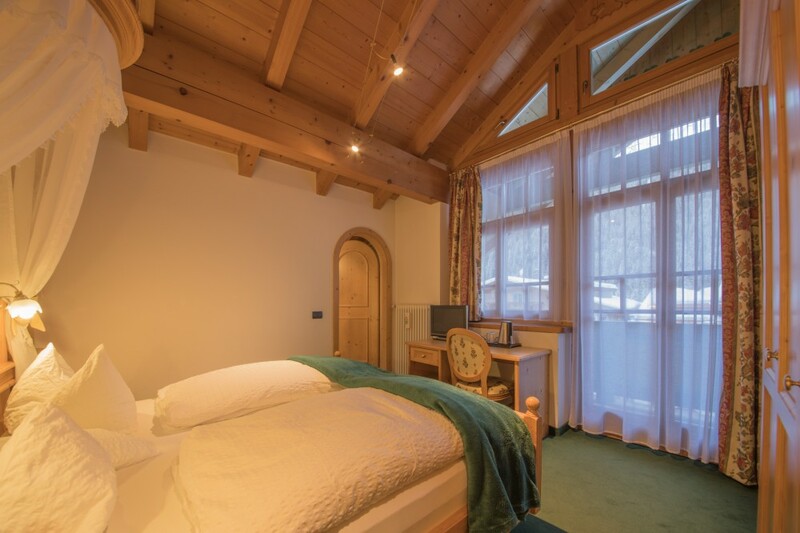 for snow lovers....your Winter holiday in one of the most beautiful scenery of the world! 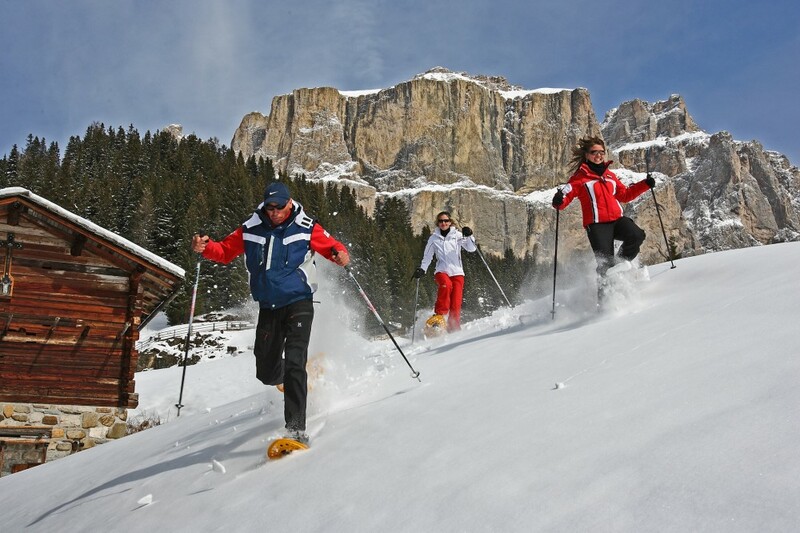 Here you can practice all Winter sports like skiing, cross-country skiing, ski moutaineering, ice skating, snowboarding, freeriding, ice climbing but also snowshoe excursions, walks, sledge riding and horse-drawn sleighing. 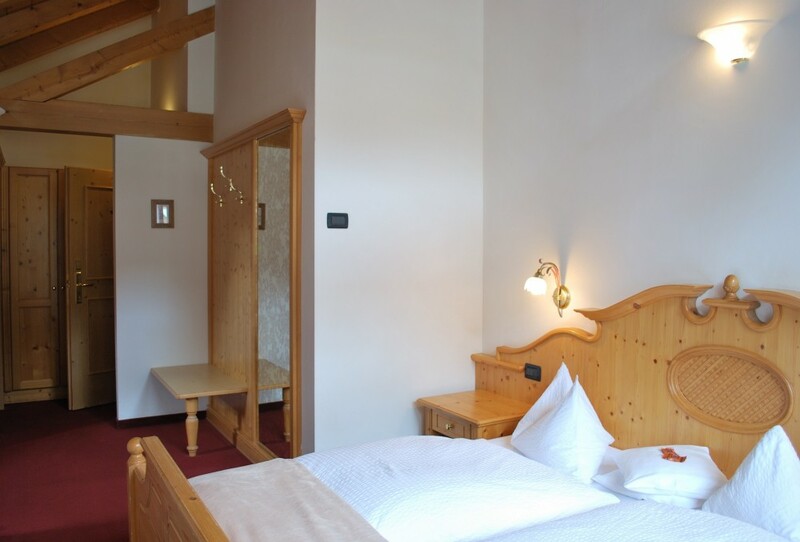 The whole area is perfectly organized with very modern lifts and well equipped and prepared slopes including a useful ski bus service. 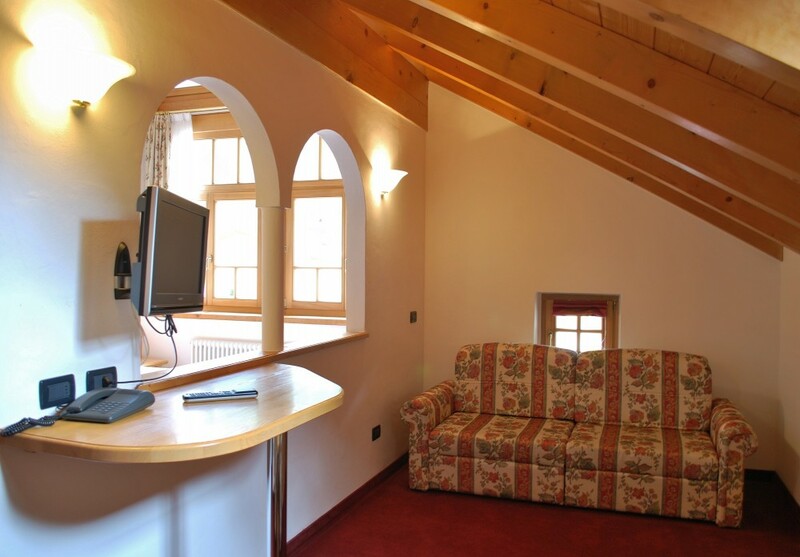 Plan your Winter holiday and enjoy it!